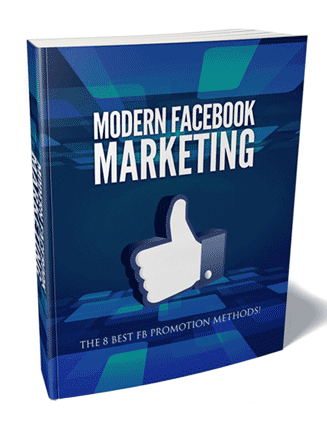 Modern Facebook Marketing Ebook and Videos MRR is loaded with many ways to profit from facebook advertising with a big upsell and master resale rights. Facebook is a massive traffic monster. As of this writing, it has over 1.3 billion, and that’s with a capital B, daily active users. Think about that, over 1.3 billion people using the same website day after day. On top of this, it continues to grow. Also, when people are on Facebook, they pretty much stay there, and they view page after page of content. In fact, on a month to month basis, as of 2017, Facebook has slightly over 2 billion monthly active users. If this wasn’t impressive enough, the next platform that gets the highest percentage of American users is Instagram, which is owned by Facebook. Instagram clocks in at 32% of American usage. Among US residents, 53% reportedly use Facebook several times a day. In terms of the world’s total population, more than 22% of people on the planet use Facebook with some level of frequency. The point is, Facebook is a massive traffic monster. You really cannot afford to miss out on Facebook and its marketing potential. If this wasn’t impressive enough, wait, it gets even more mind blowing. Once people log into Facebook, the system basically keeps tight surveillance on them. And the crazy thing is that this is all done with their permission. When you sign up for Facebook, there is a user license agreement that you must consent to. Unless you read the fine print, you wouldn’t become fully aware that once you sign in, every like, comment, share, as well as pages that you liked and even ads that you clicked, will be monitored by Facebook. It’s as if by watching your behavior, Facebook can make educated guesses as to what your interests are and can then show you advertising that fits those interests. Sounds pretty fair, right? Well, this extends across the board. That’s right, every group you join as well as interactions on Messenger are monitored, tracked and targeted by Facebook. This is not lightweight targeting, mind you. When it comes to fine laser targeting of demographic groups based on individual user behavior, nothing even comes close to Facebook. As awesome as these traffic statistics, advertising technologies, and promotion potential may be, I’ve got some bad news to report. Too many businesses still fail to fully leverage Facebook. This training teaches you the best ways to promote on Facebook. It also gives you step by step instructions, so you can engage in Facebook marketing with a higher than average chance of success. 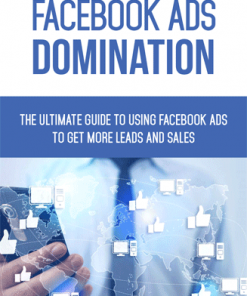 Ebook – 75 page PDF that gives 8 of the best facebook promotion methods. Plenty of ways to drive traffic and sales from the social giant and how to make the most of paid campaign’s. Since it comes in PDF format, you’ll know your buyers won’t have a problem consuming the content and finding success with their social media marketing. Reseller Kit – You’ll be getting everything you need to resell the Modern Facebook Marketing Ebook and Videos MRR book with a professional sales page and matching download page. All you need to do is insert your payment link and your download link, upload and it’s ready to make you cash on automatic, even while you are asleep. Since the package comes with master resale rights, you get to keep all the profits on every unit you sell. 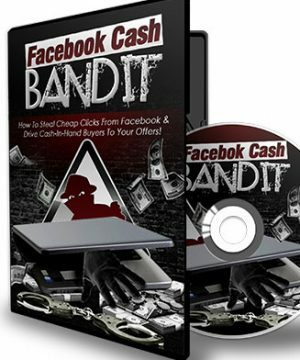 Promotional Email Swipes – 5 pre written Modern Facebook Marketing Ebook and Videos MRR autoresponder messages that will help you sell more copies of your new product. Copy and paste into your autoresponder service and you are done. They come in Word DOC and plain text formats so you know they are easy to edit, change and customize as you need. Cheat Sheet – A 8 page PDF that gives your buyers a simple way to mark off each step and find success with marketing on facebook. Mind Map – PDF that is a great visual that can help your buyers see the big picture and better understand the Modern Facebook Marketing Ebook and Videos MRR content. Resource Report – A 3 page PDF that gives all the steps of the Modern Facebook Marketing Ebook and Videos MRR with many related resources. Articles – 10 quality articles all related to marketing on facebook and much more. Copy and paste ready to use content for your blog or website, or even to post on your social profiles. Use them to create emails messages the easy way. Comes in easy to use Word DOC file and plain text formats. Titles are listed below. Banners – 10 high quality images you can use to drive even more traffic to your new sales page. In all the popular sizes and PNG format. 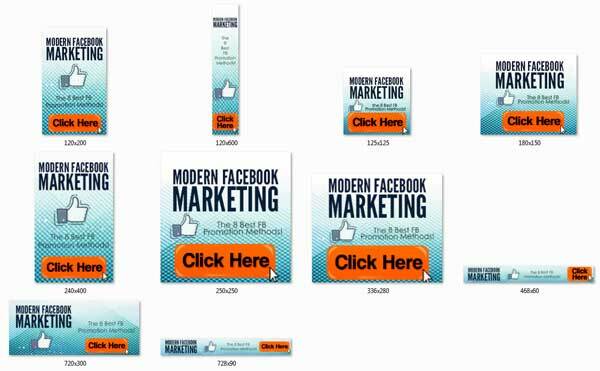 Social Media Images – 20 quality Modern Facebook Marketing Ebook and Videos MRR images with a image background and text quote overlay. Post them on your social profiles to drive even more traffic to your new sales page. You get both text overlay and blank images. Can Facebook Really Deliver E-commerce Sales? How Can Demographic User Interest Profiling Reduce Your Facebook Ad Spent? Of course not. You should know by now. You’ll also be getting a huge upsell or one time offer package that is loaded with even more material and content. It’s a built in sales funnel that is easy to set up. It’s how you can make even more from your buyers. Better yet, the upsell content comes in even more popular formats including video and audio. 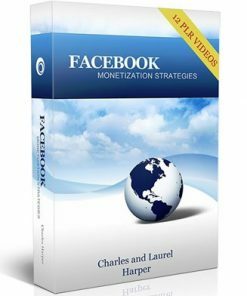 Videos – 12 professional video’s that cover the material in the Modern Facebook Marketing Ebook and Videos MRR book. You know how popular video is, so it’s sure to help you get more upsell payments because it is a desired format for learning. Of course they are all in the highly popular and easy to use MP4 format so you know they are easy to use. Upsell Sales Kit – You’ll be getting all you need to have an Modern Facebook Marketing Ebook and Videos MRR upsell and make more money from your buyers, including a professional sales page and a matching product download page. Just add your payment link and your product download link, upload the two web pages and it’s ready to earn you more cash per customer on auto-pilot. It’s a built in sales funnel and it’s easy to set up. 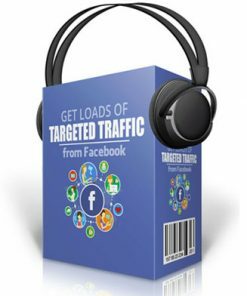 Promotional Emails – 5 pre written Modern Facebook Marketing Ebook and Videos MRR email messages designed to sell your upsell, Simply copy and paste into your autoresponder service and they are ready to do the market for you. So easy. All in easy to edit Word DOC and plain text formats, customize as you want and copy and paste them into your autoresponder service. Squeeze Page – Yet another way you will profit from this package with a modern squeeze page. Use this page to build a list in one of the most popular internet marketing niches and you could have an asset that pays you far into the future.Also, a perfect way to promote related products and services. Give Away Report – 10 page PDF lead magnet entitled, “10 Reasons You’re Missing Out If You Don’t Market On Facebook“, you can use with the above squeeze page to build a subscriber list. Gives them a taste of the content and leaves them wanting more, which can be your main ebook and your upsell. Create a profitable asset and extra marketing arm that makes you money into the future.. Also comes in Word DOC format so you can edit as you want. As of this writing, it has over 1.3 billion, and that’s with a capital B, daily active users. When people are on Facebook, they pretty much stay there and they view page after page of content. In fact, on a month to month basis, as of 2017, Facebook has slightly over 2 billion monthly active users. You know that you don’t have enough target audience profiling information to base a successful paid campaign on. Fast Action Bonus #1 – Modern Facebook Marketing Cheat Sheet -This cheat sheet is a handy checklist that makes it easy to get started. It breaks up the entire guide into easy-to-follow steps so that you can make sure you have all the highlights of everything covered inside right at your fingertips. 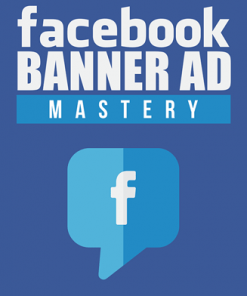 Fast Action Bonus #2 – Modern Facebook Marketing Mind Map – Some people learn better by looking at a mind map. The mind map gives you an overview of everything covered inside the guide. You can also print it out for quick reference anytime you need it! 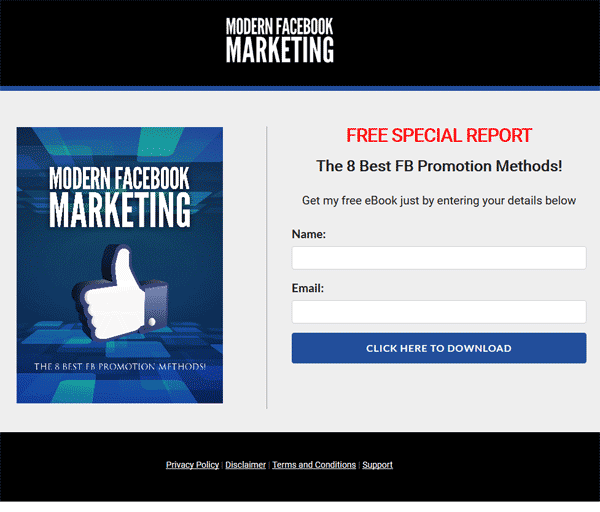 Fast Action Bonus #3 – Modern Facebook Marketing Resource Guide – The Resource Guide gives you a quick point of reference to all of the resources mentioned throughout the guide. This makes it easy to plug-in and stick with what you’re looking for. 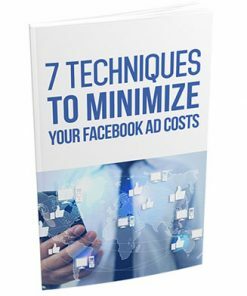 First off, thanks so much for purchasing the guide That Will Teach You All the Skills You Need to engage in Facebook marketing with a higher than average chance of success. 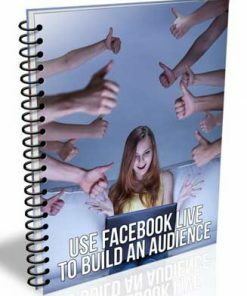 Although the guide you just purchased gives you a step-by-step approach to Facebook Marketing, experience tells us that it requires learners to pay very close attention to the details to get the best results possible.